This exquisite gold vintage style hair band this looks fabulous worn across the forehead in 1920s style or 1950s Alice style. Embrace the romance and glamour of yester year with our Golden Charm Hair Band to unleash your inner vintage starlet on your wedding day and every occasion beyond. Featuring ornate antique gold scroll detail encrusted with shimmering clear Austrian crystals, this exquisite piece looks fabulous with so many hairstyles. If you adore the drama of the Roaring Twenties, wear this band across your forehead for a Flapper Girl worthy look. To enhance a classic 1950s updo with a touch of Grace Kelly's timeless elegance, wear Alice band style. Or, if you're going for a statement high bun, add bygone charm and a sprinkling of sparkle by wrapping around the base. The perfect hair accessory for brides wearing a divine lace gown, Golden Charm Hair Band beautifully accentuates a gold wedding theme and adds warmth to your special day hairstyle. 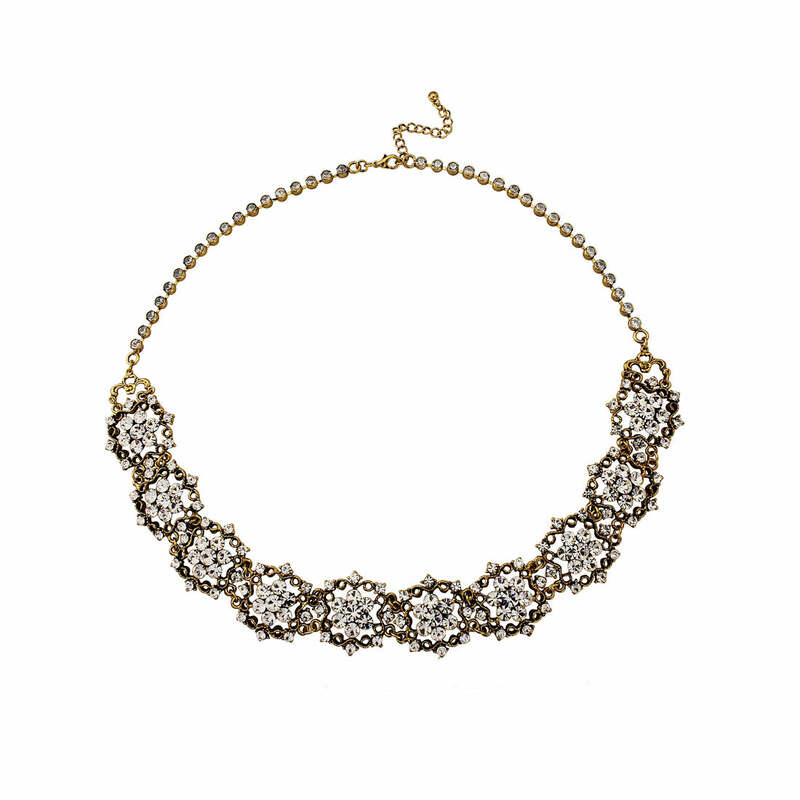 No matter which era you admire, this is perfect to complement every vintage bridal look.